Have you ever felt well-prepared and then wondered why things went wrong on stage? If you have ever wished for the trap door to open onstage and allow you a quick exit, you’re not alone. In fact, you’re in very good company. Many great performers have lived their entire careers with paralyzing performance anxiety. It’s not always paralyzing, either – sometimes you just feel distracted or disconnected, and don’t perform up to your standards. 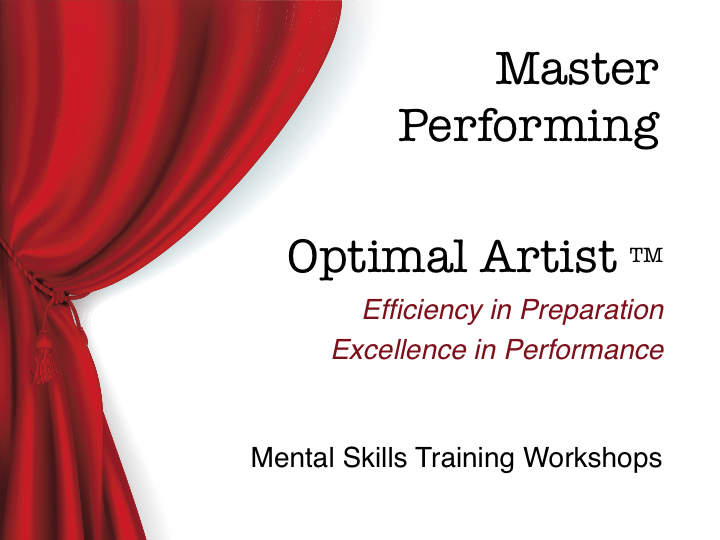 If you want to deliver your optimal performance each time, Mental Skills Training can help you master your mind.